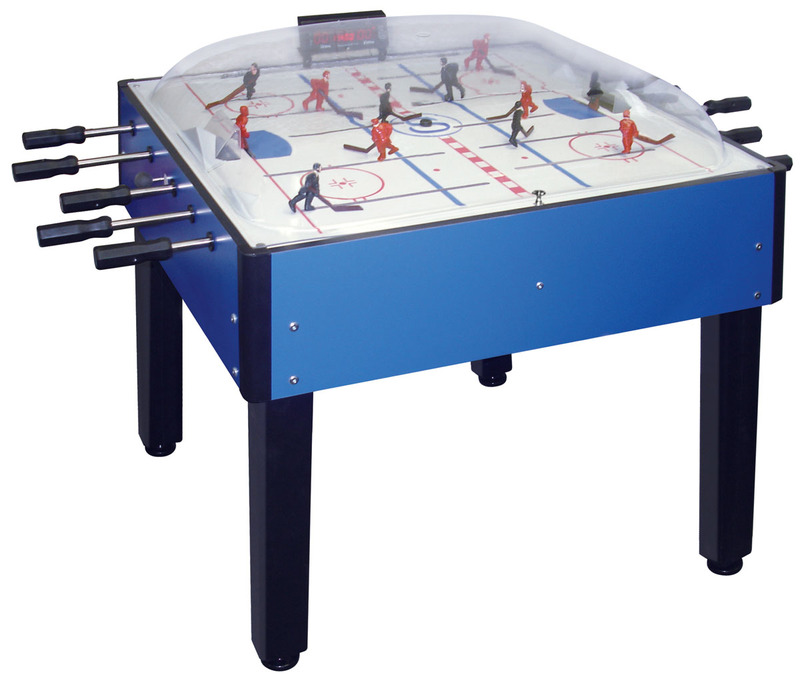 With the Breakout Dome Hockey Table, you can enjoy Canada's America's favorite game in your home or office! Its low profile dome and solid wood legs make it easy to place, meaning you can enjoy its fast paced action anywhere. The gear box for each team has a 2:1 turn ratio for super fast player response. You can make 360 turns with just a flick of the wrist! The side-mounted electronic scoring means you do not have to stop the action to adjust the score. 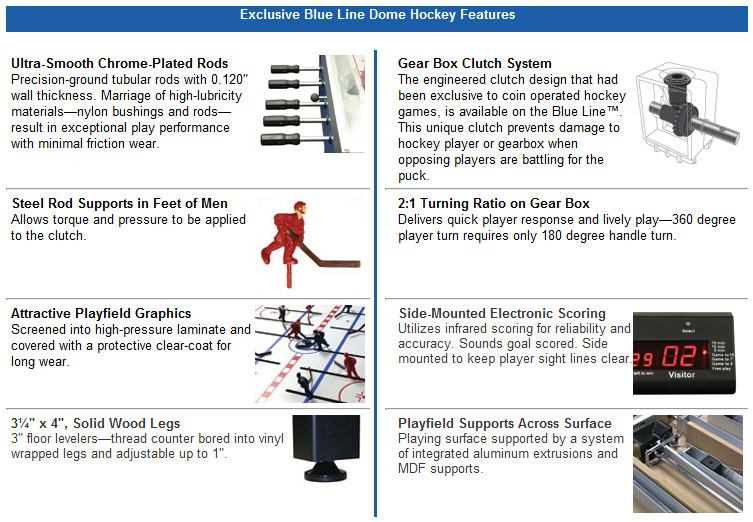 Keep the competition fierce and lively with the Breakout Dome Hockey Table!